Located in Jeffersontown, Kentucky, Ruckriegel Electric Company is a full-service Residential and Light Commercial Electrical contractor. We work with contractors and remodelers to bring your home or business up to the latest standards in electrical wiring. The foundation of our business is specialized in new-home construction electrical services. We have over 40 years of experience in providing new-home wiring for most of the areas finest home builders. Ruckriegel Electric has an experienced work staff to take care of all you electrical needs. To learn more about us or request an appointment, call us at (502) 267-7511. We look forward to working with you! We operate 24 hours a day. We'll be there for you. We have over 40 years experience in providing Residential and Light Commercial Electrical services. Ready to take it a step further? Let’s start talking about your Commercial or Residential Electrical needs. We can help you. 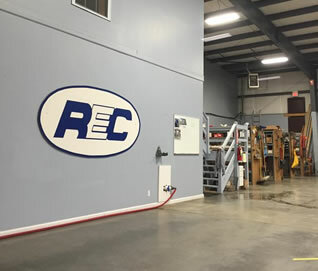 Located in Jeffersontown, Kentucky, Ruckriegel Electric Company is a full-service Residential and Light Commercial Electrical contractor.